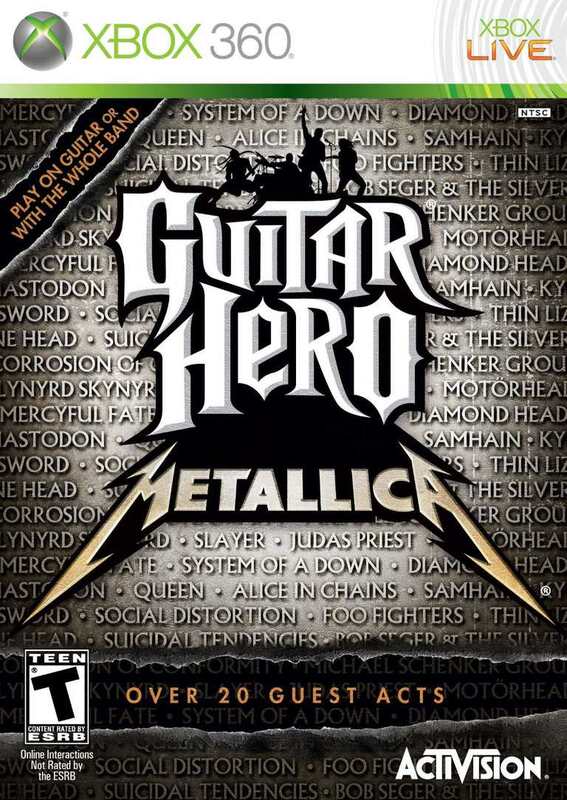 "Guitar Hero: Metallica" for Xbox 360, PlayStation 3, and Wii includes a wide range of Metallica songs spanning the band's entire career and a selection of songs from bands that either inspired or were inspired by Metallica. "Guitar Hero: Metallica" is one of the most difficult and challenging Guitar Hero or Rock Band games, but it's also a fan favorite. The guitar work is intricate and interesting, the drums are frantic and wild, and the bass is more than just the same repetitive notes over and over again. It is worth noting that you can export the "Guitar Hero: Metallica" tracklist into "Guitar Hero 5" and "Guitar Hero: Warriors of Rock." Here's the full list. Bob Seger - "Turn the Page"
Corrosion of Conformity - "Albatross"
Diamond Head - "Am I Evil?" Foo Fighters - "Stacked Actors"
Machine Head - "Beautiful Mourning"
Michael Schenker Group - "Armed and Ready"
Samhain - "Mother of Mercy"
The Sword - "Black River"
If you downloaded the Metallica "Death Magnetic" album for GH3/GH:WT, it is compatible with "Guitar Hero: Metallica." No other downloadable content works, however, and there isn't any future DLC planned for this game. Unfortunately, "Guitar Hero: Metallica" songs aren't compatible with "Guitar Hero Live," which uses a six-button controller and gameplay style. None of the old DLC works with the game.